The LightWave OM3 8-Fiber MTP/MPO QSFP-QSFP Fiber Optic Cable is just what you need for handling high bandwidth tasks quickly and easily. 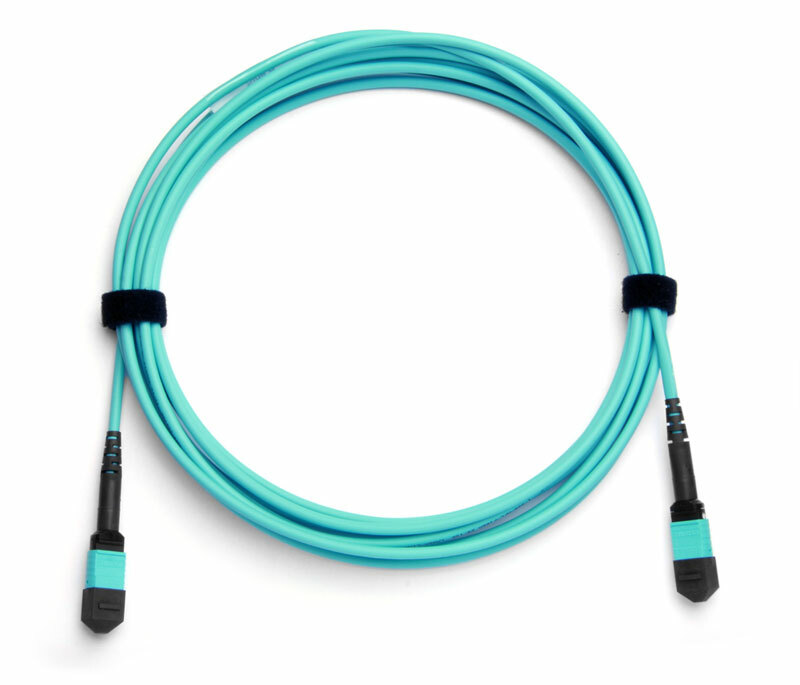 We highly recommend this cable for telecom and data centers that move a large amount of data across short to medium distances between QSFP transceivers, and need a solution that provides optimal transmission quality. 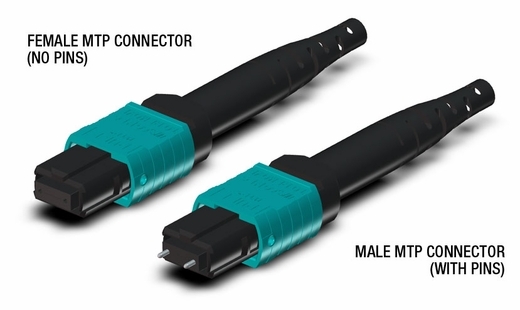 MTP� brand MPO-style connectors have taken the issues of high data traffic demands and limited working space conditions, and simplified the process of dealing with these challenges using a high density connector and its ability to house multiple fibers. 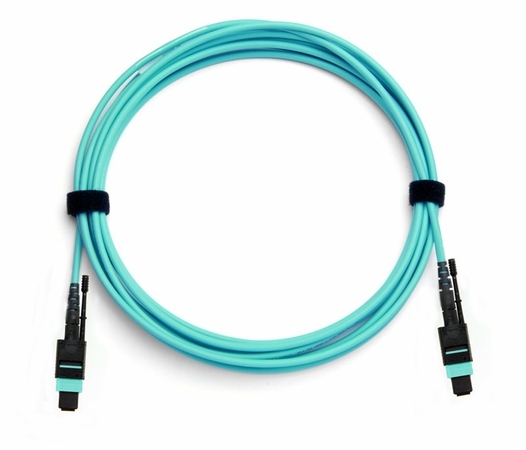 This particular cable holds 20 fibers, and comes in a "Type B" Rollover polarity scheme, primarily used for module and transceiver connectivity in 40G/100G/128G QSFP applications. Using OM3 fiber optics, you are able to transmit data over a 1Gbps link with a 50/125 micron glass fiber over a distance of up to 1000 meters at a wavelength of 850nm, and over a distance of up to 550 meters at 1300nm. For a 10Gbps link, you can transfer data over a distance of up to 300 meters at 850nm. 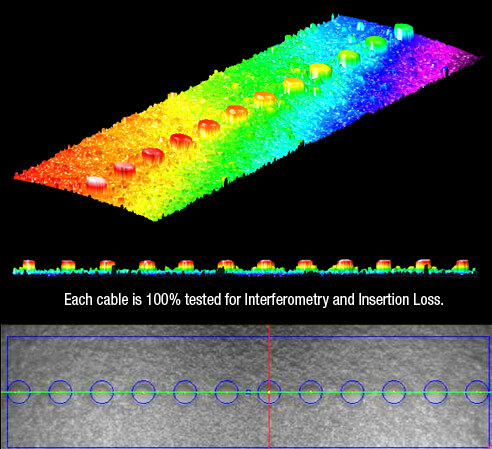 Each cable is assembled in-house at our Richmond, VA facility, and tested for interferometry and insertion loss, so enjoy the American-made quality and high performance that LightWave cables provide. 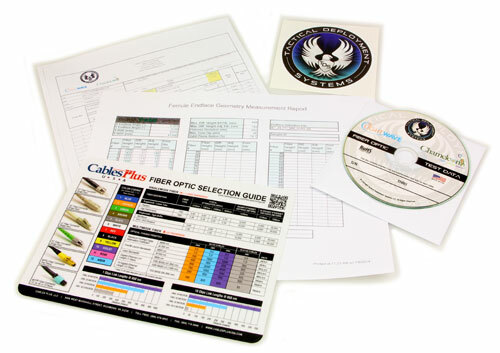 LightWave brand MTP Cables are fully compliant with the guidelines of the Trade Agreements Act (TAA), and are approved for United States Government use. 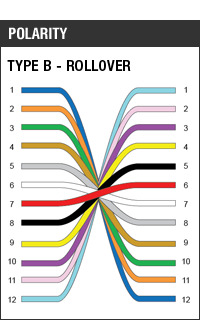 MTP� is a registered trademark of US Conec Ltd.